Tumon, Guam – Thursday, Feb. 23, 2017 – Guam Sports Events Inc. (GSE), along with title sponsor United Airlines and gold sponsors the Guam Visitors Bureau and Pacific Islands Club, announced at today’s press conference exciting additions to the United Airlines Guam Marathon. 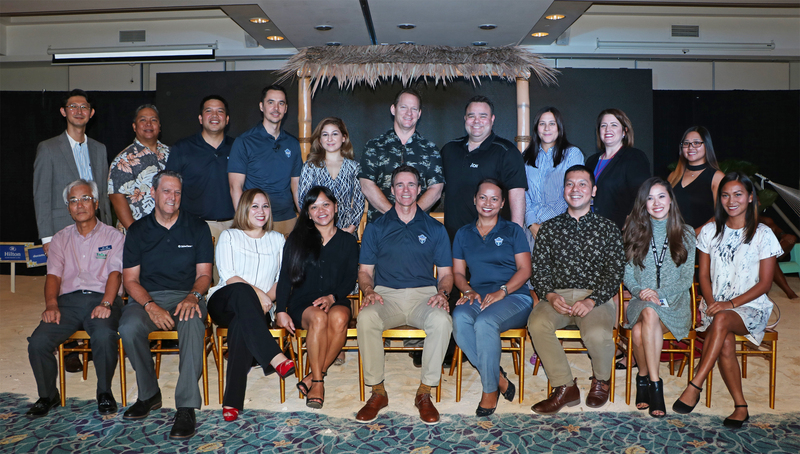 Sam Shinohara, United’s Managing Director of Operations Asia/Pacific, and Nathan Denight, President and CEO of the Guam Visitors Bureau, joined GSE Managing Director Ben Ferguson to discuss event updates and benefits for Guam. The Fifth Annual United Airlines Guam Marathon offers 5K, 10K, Half Marathon and Full Marathon races on April 9. Three dollars from every registration will go toward the Guam Fire Department, Guam Police Department, Islandwide Beautification Task Force, Tourism Education Council and USO Guam. Registered participants can enjoy Eat.Shop.Run., a new runners perks program from April 3 to 16. Runners can redeem special offers at popular restaurants and stores by providing proof of registration. The running event features three days filled with festivities. On April 7 and 8, the Håfa Adai Expo will serve as the festive location where participants can pick up packets. The expo will be open not only to participants but also to the public. The expo will feature food and beverage concessions, live entertainment, vendors and a running clinic by Olympic gold medalist and international race ambassador Naoko Takahashi. Event organizers are bringing back popular traditions, such as the post-race Tumon Bay Dip. After crossing the finish line, runners can take off their shoes and dip their feet into Tumon Bay. The new post-race BBQ Beach Party will take place at the Gov. Joseph A. Flores Memorial Park (Ypao Beach). Participants and the public can enjoy free food, drinks and live entertainment. Local event ambassadors of the United Airlines Guam Marathon gather after a press conference Feb. 23, 2017. The fifth annual running event will be held April 9, 2017. From left: local event ambassador Derek Mandell, spokeswoman Carmela Tyquiengco, local event ambassador Rhea Macaluso, local event ambassador Manami Iijima, and local event ambassador Leo Tkel.